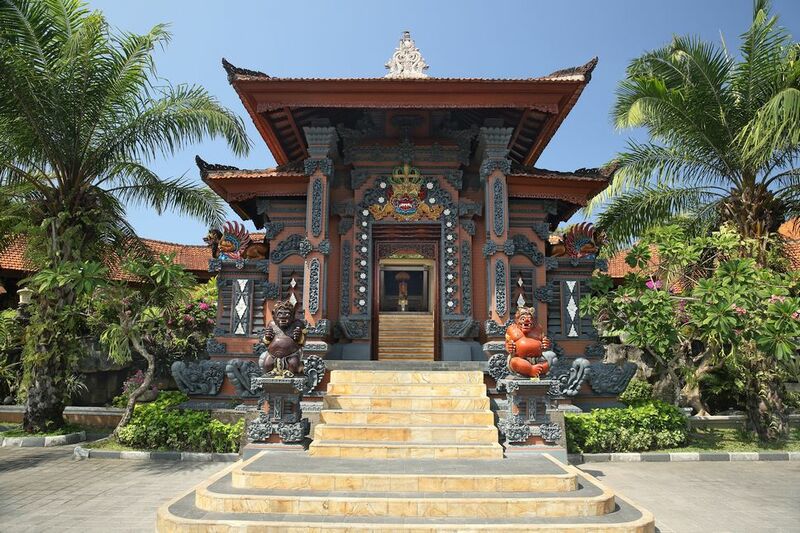 Bali Tropic Resort & Spa is located just 20 minutes away from Ngurah Rai International Airport, an exclusive beach hotel in Bali is built in a subtle blend of Balinese's and modern architecture and offers a marvelous ambiance for a truly wonderful and relaxing beach vacation. 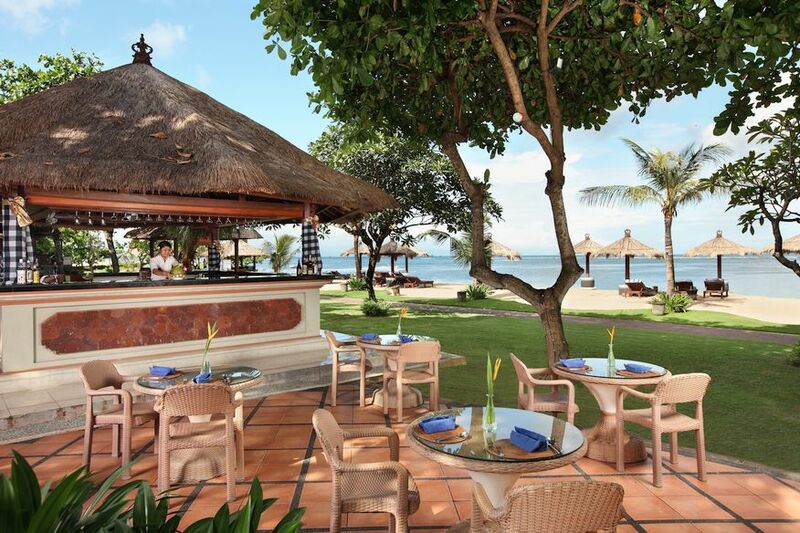 A beautiful setting among frangipani and Bougainville with the most breathtaking views of the warm and wonderful Indian Ocean. 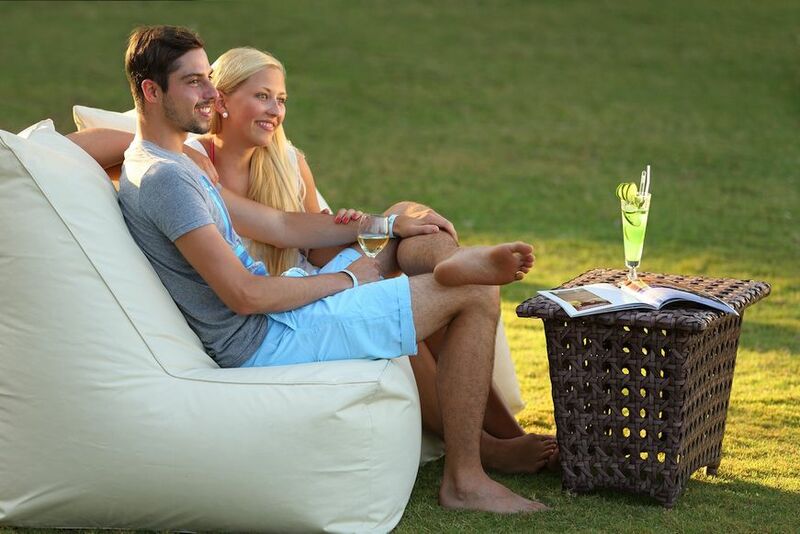 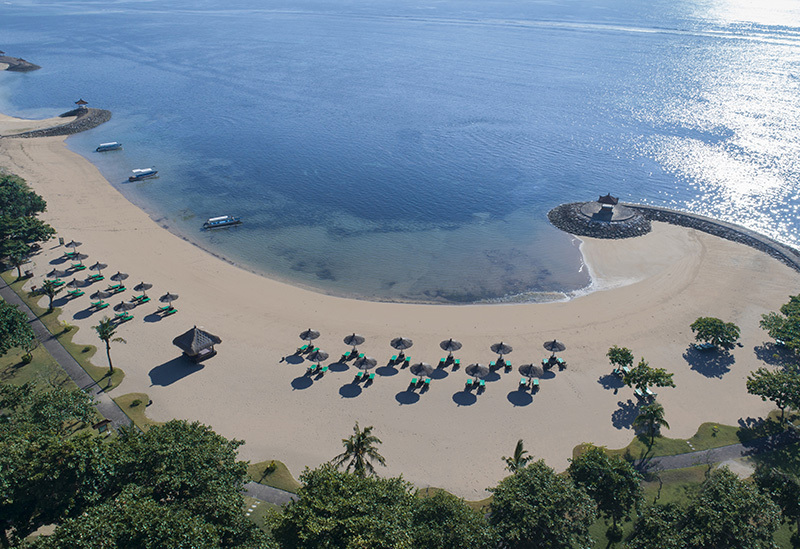 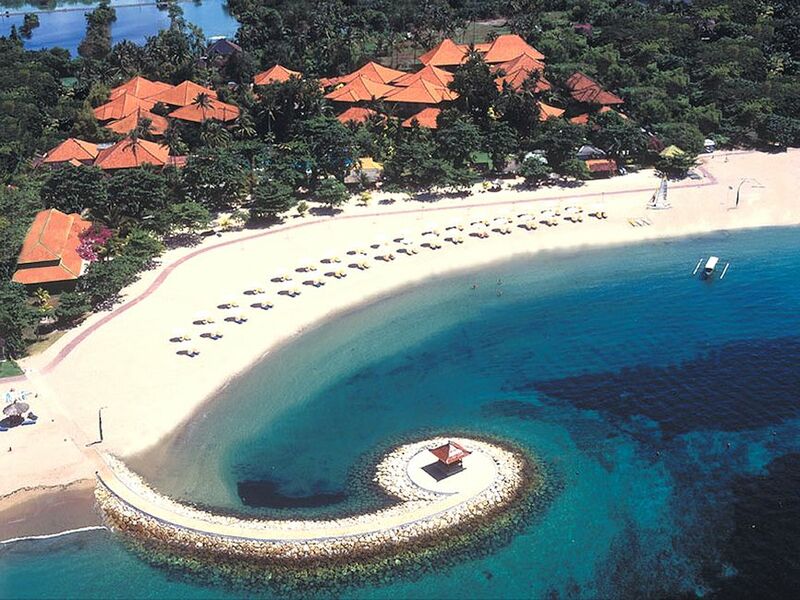 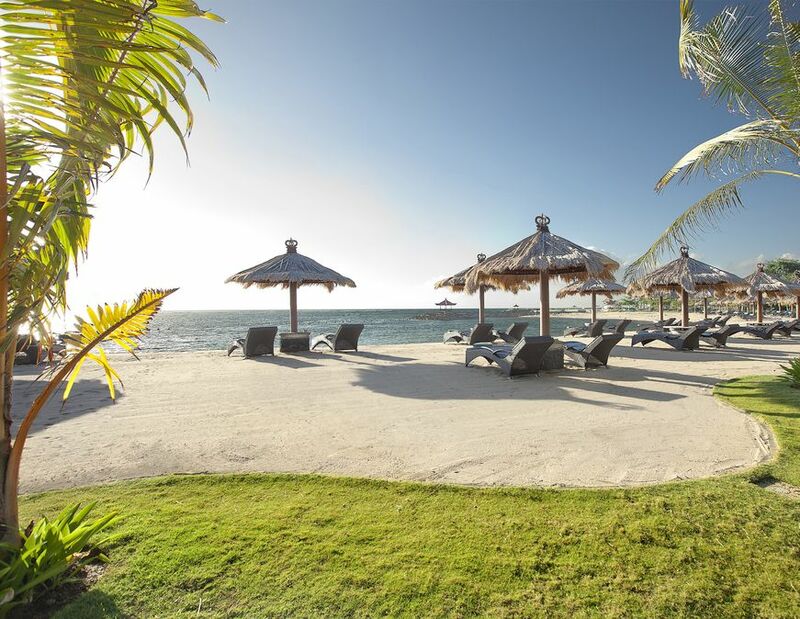 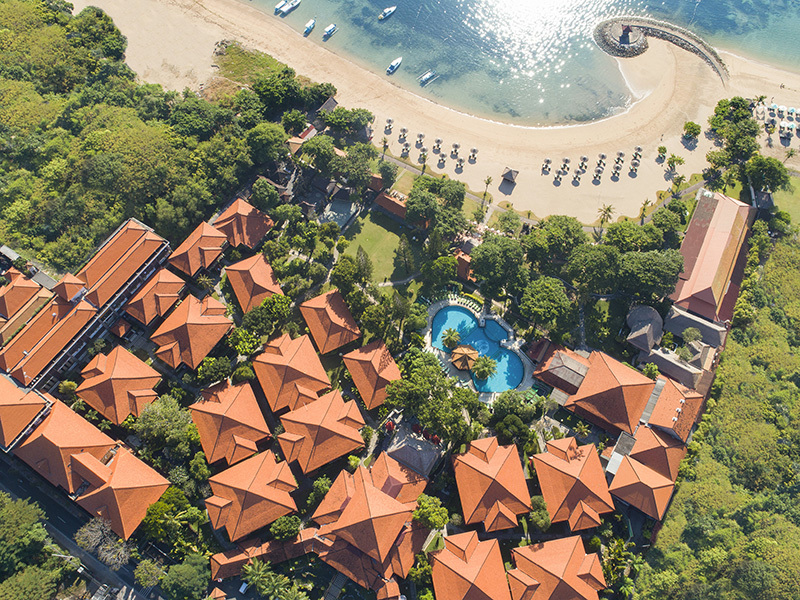 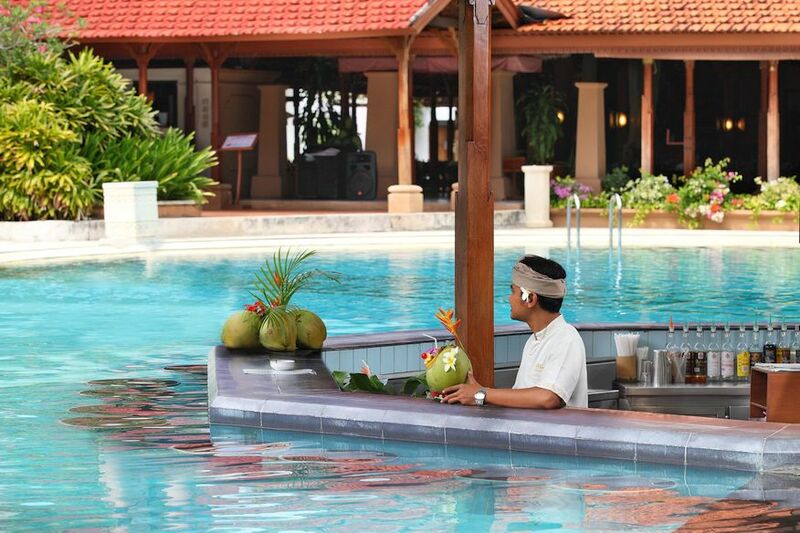 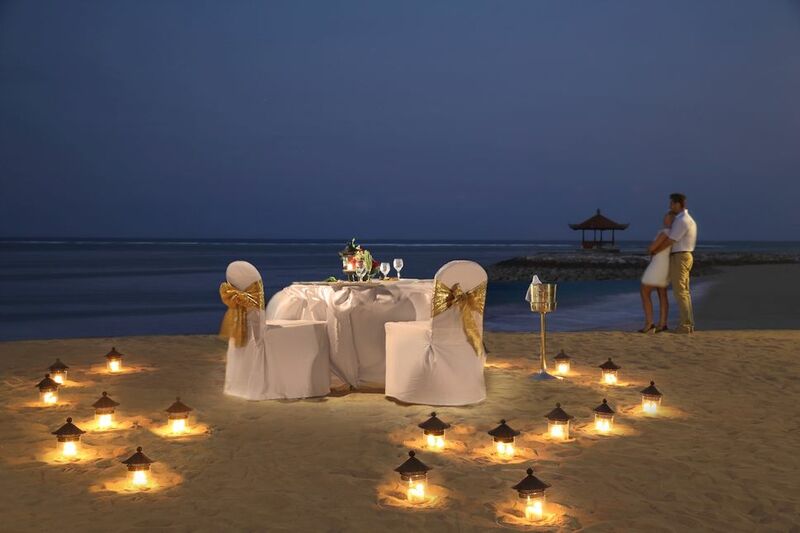 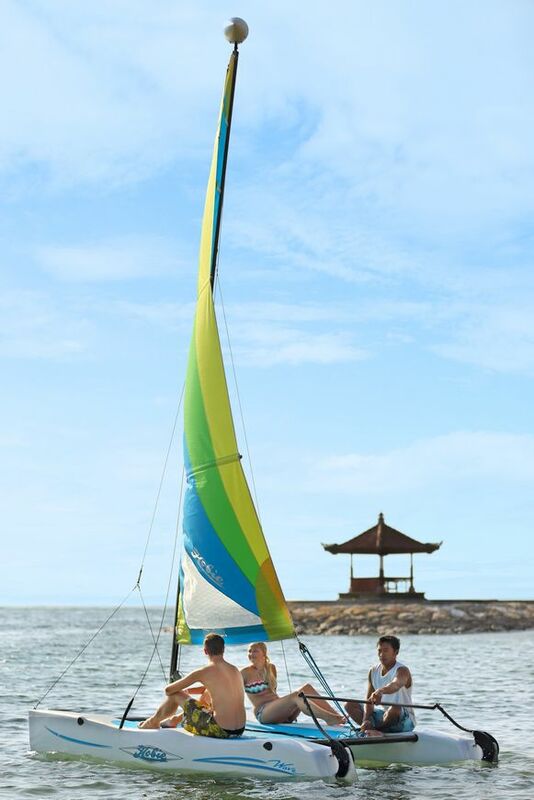 Very centrally on the world famous Tanjung Benoa – Nusa Dua Beach on the south coast of Bali Island, Indonesia. 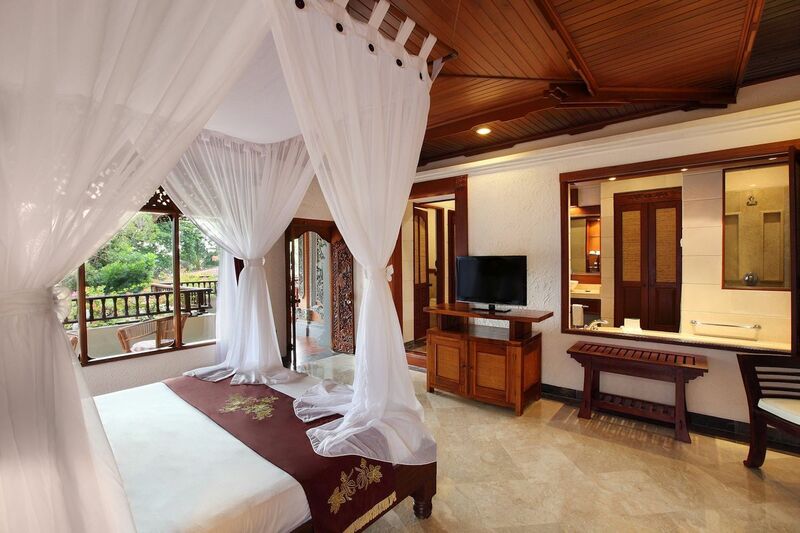 The unique combination of beautiful and spacious Rooms feature balcony or terrace which overlook gardens. 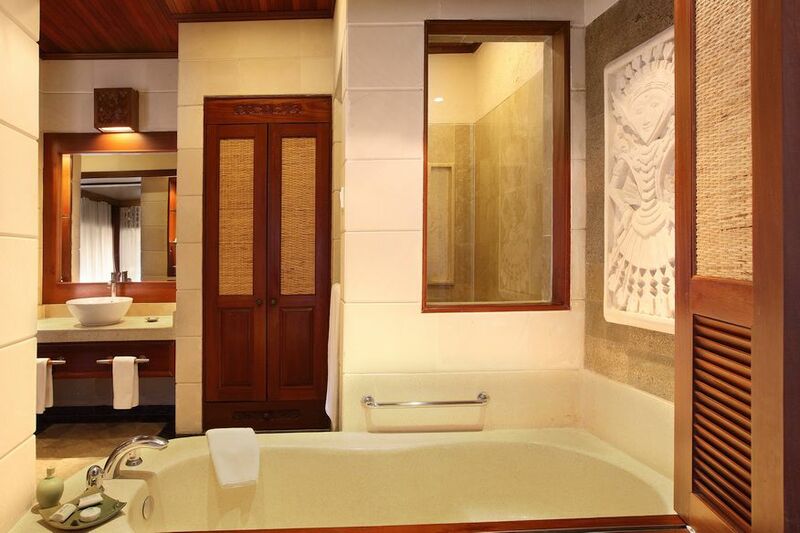 Luxury and well equipped Bathrooms coupled with Great Hospitality, breathtaking scenery and the wonderful climate will make you want to come again and return again to this magical place. 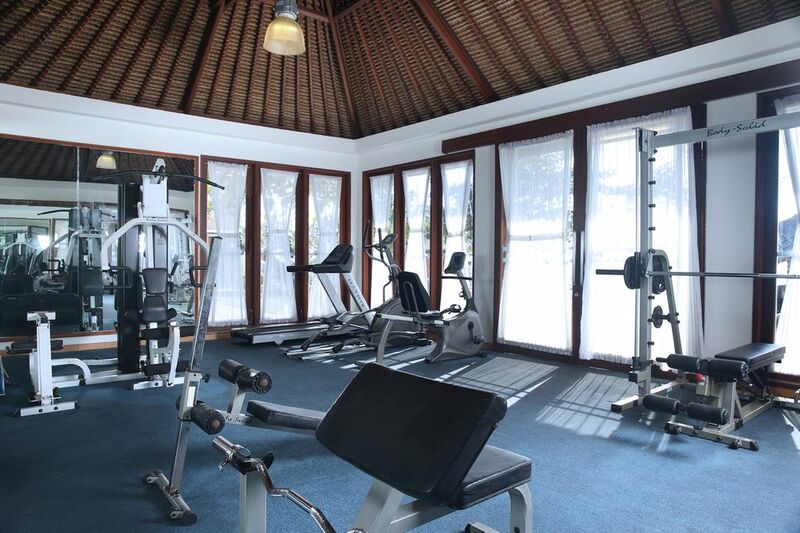 Guests can head to the gym for a work out or enjoy a pampering body treatment at the spa. 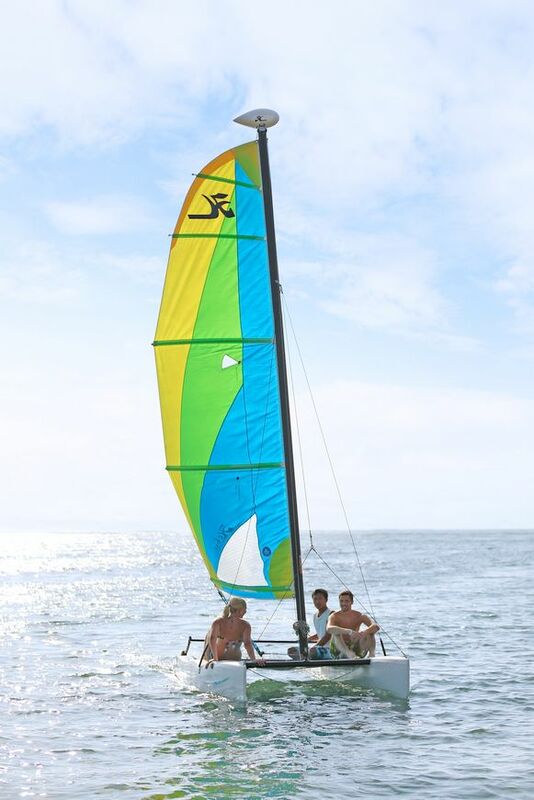 Water sports like scuba diving and white water rafting can be arranged. 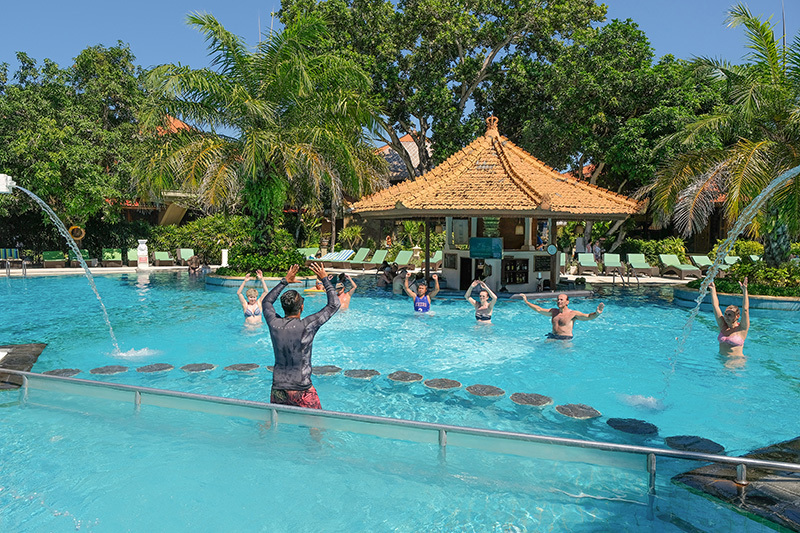 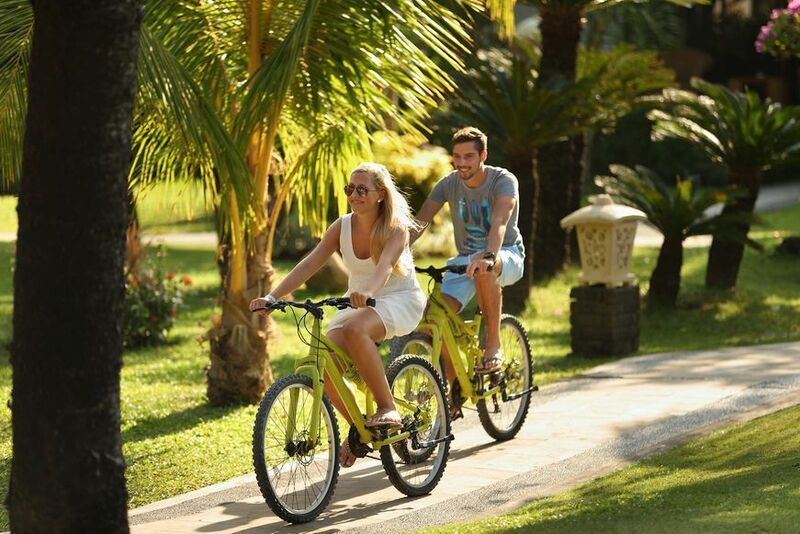 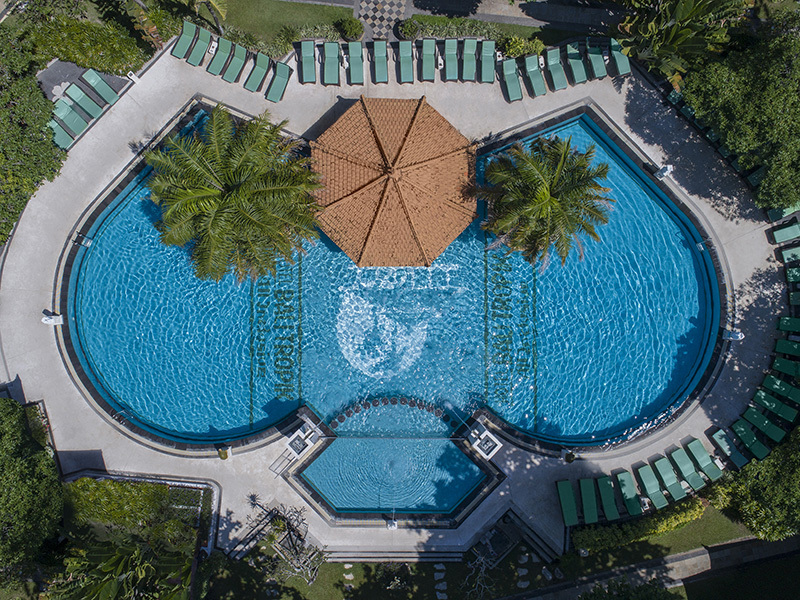 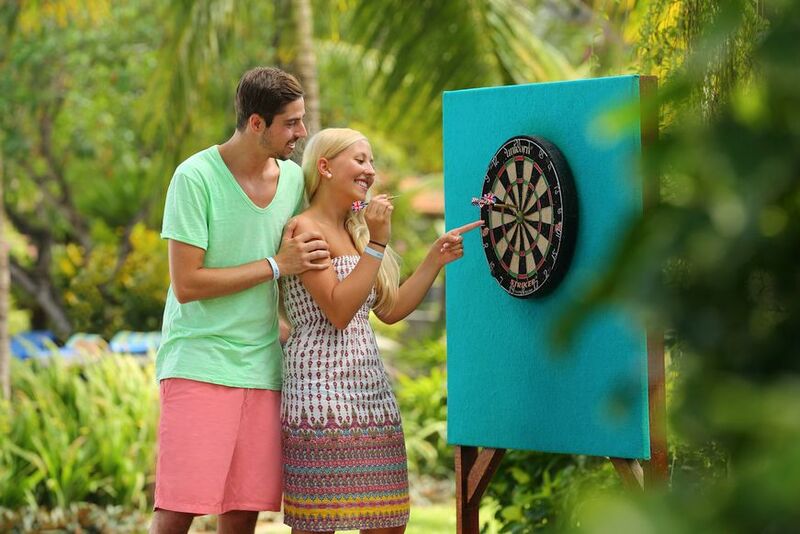 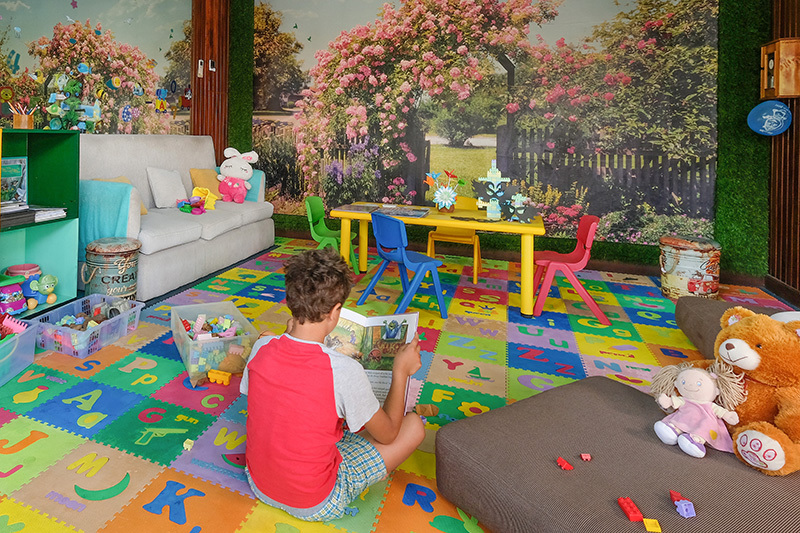 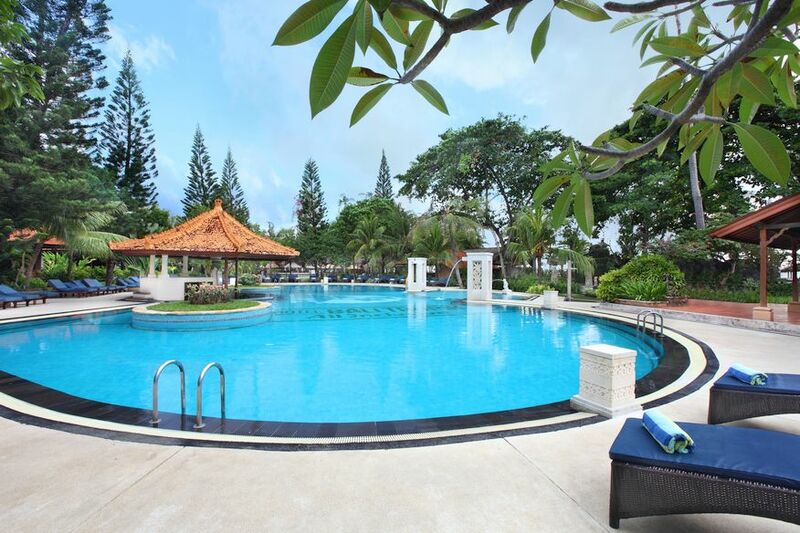 The resort also offers aqua gym activities, a garden chess, a Kids Club, and free Wifi. 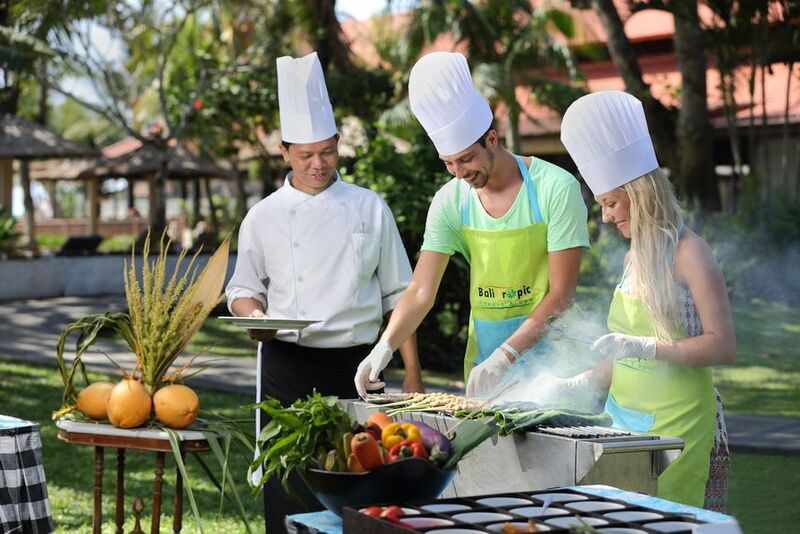 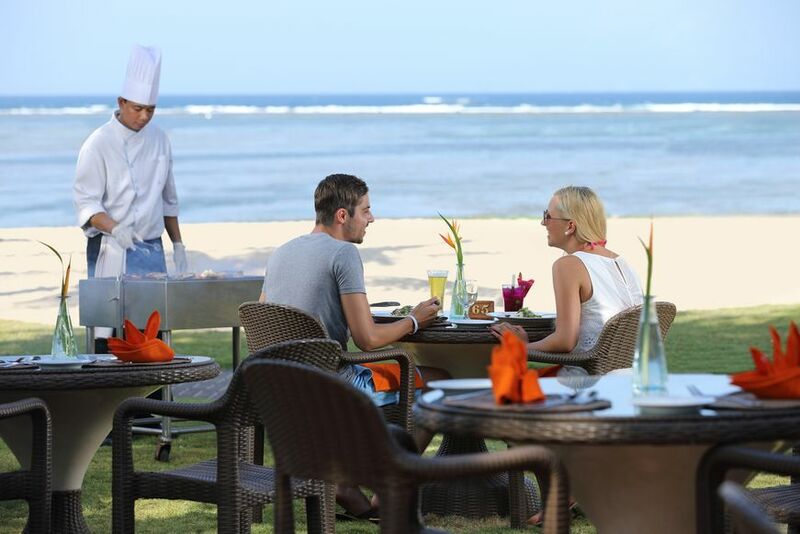 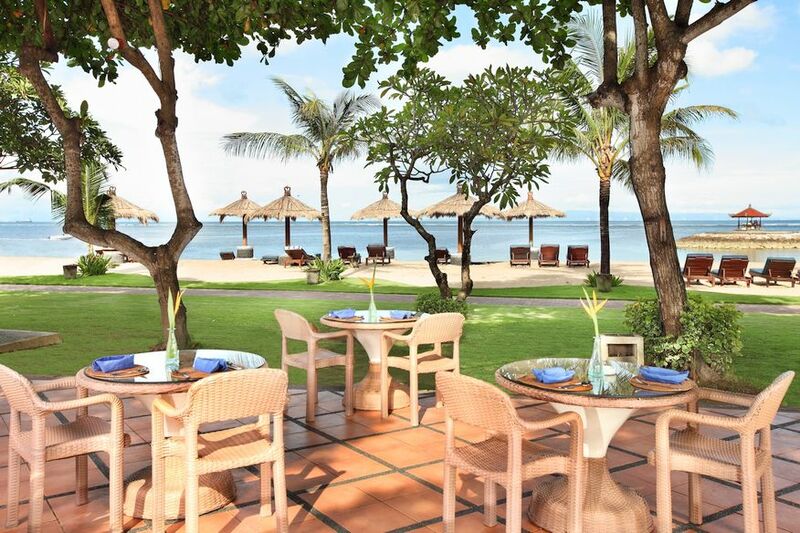 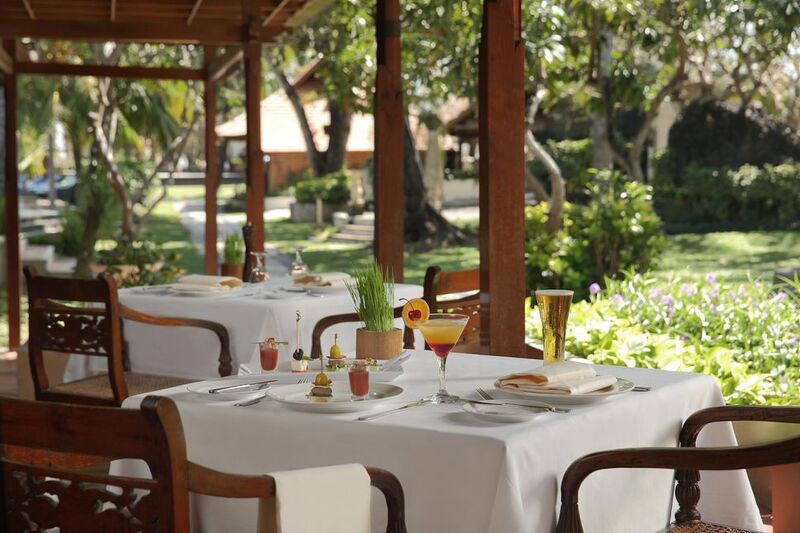 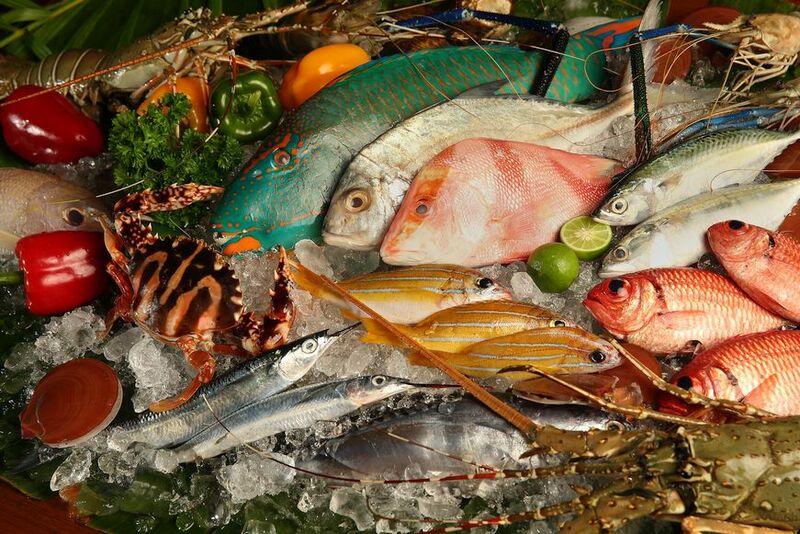 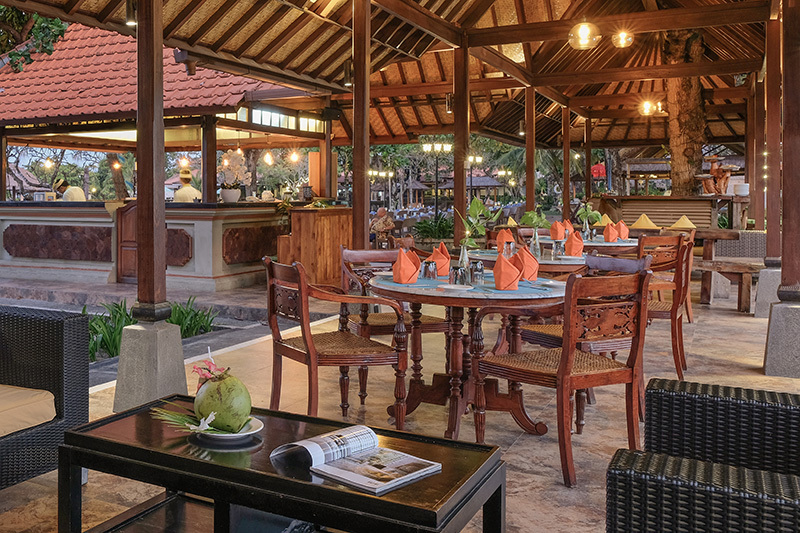 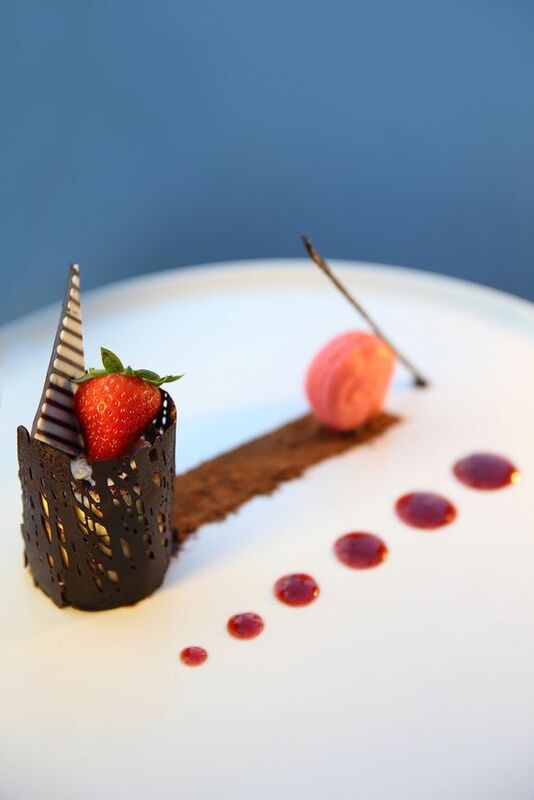 Outdoor dining by the beach can be enjoyed at Ratna, while Wratnala features barbequed delights. 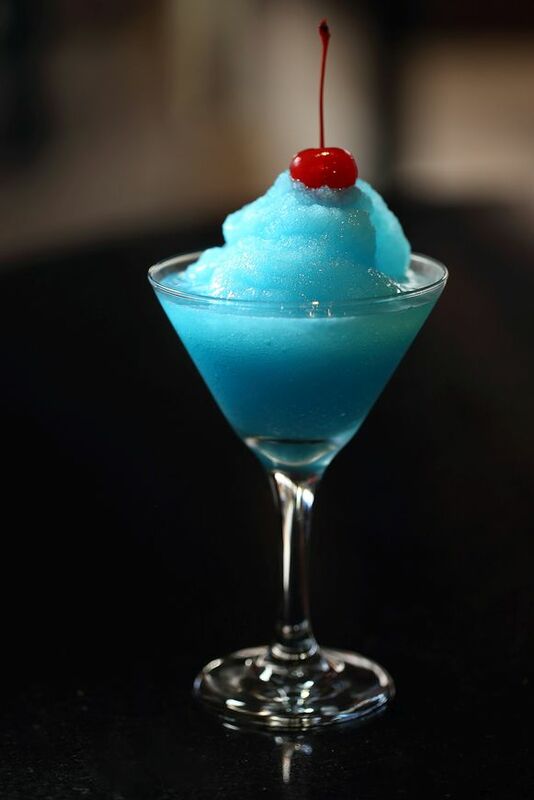 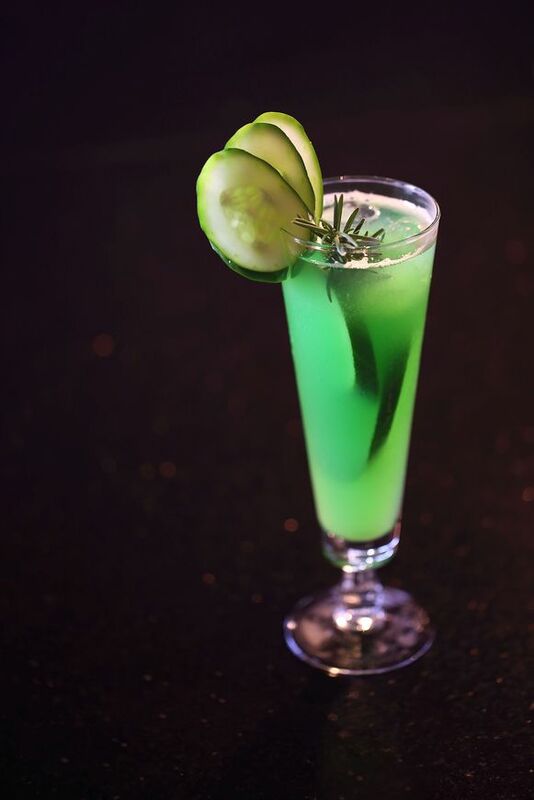 Drinks are served at Cempaka Bar or Sriwedari. 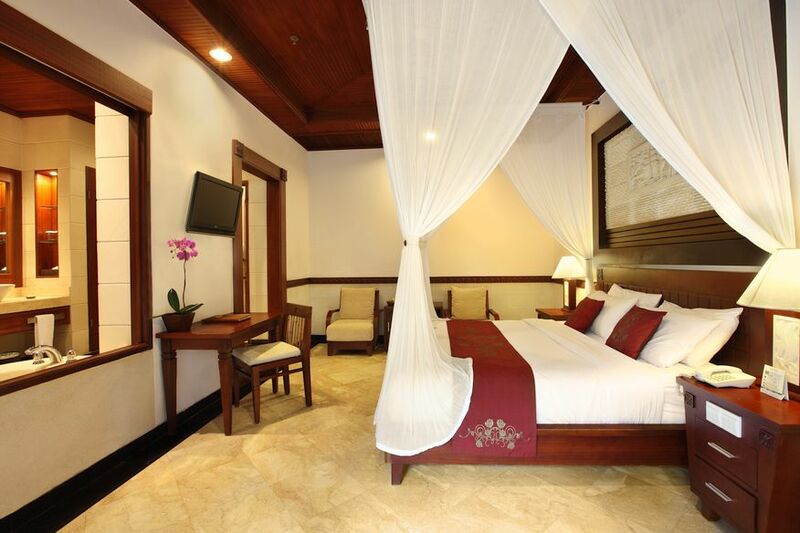 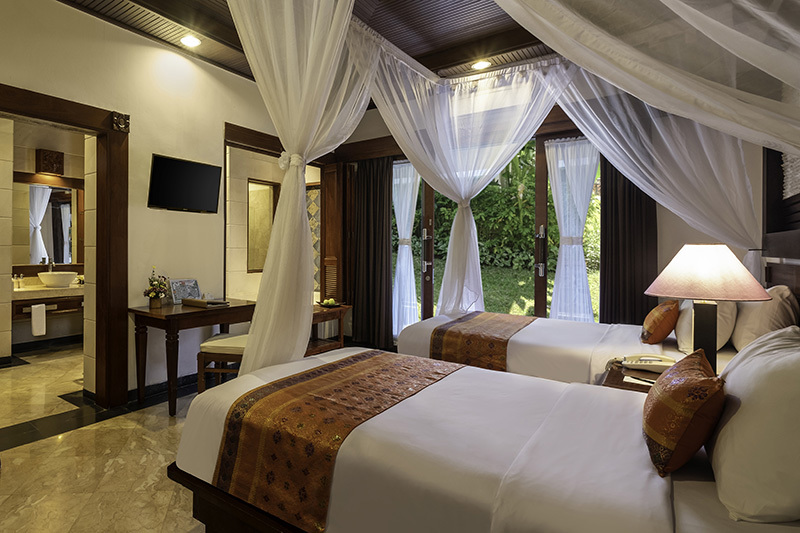 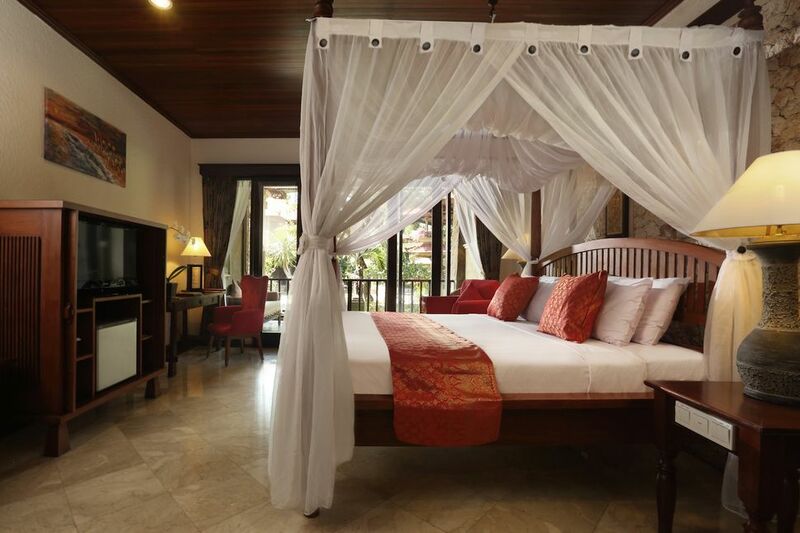 The two storey new deluxe rooms are located next to our royal bungalows overlooking to the gardens. 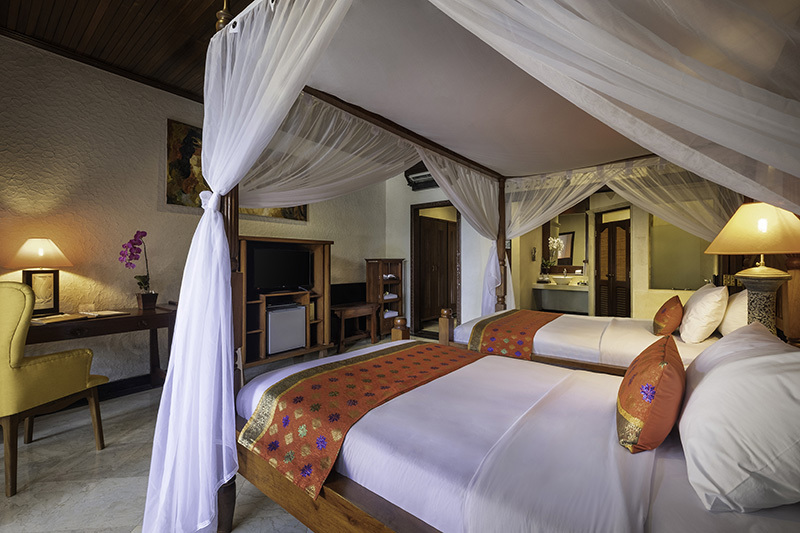 All rooms has romantic bathroom designed as nice as those in our deluxe bungalow rooms with private bath, separate toilet/shower and a private terrace/balcony. 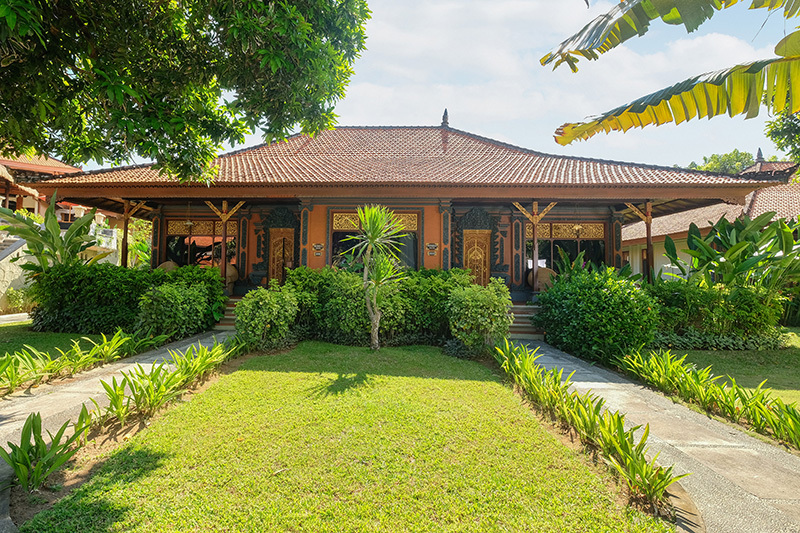 Low-rise bungalow designed in Balinese traditional architecture featuring ornate wooden carvings and stunning tropical gardens. 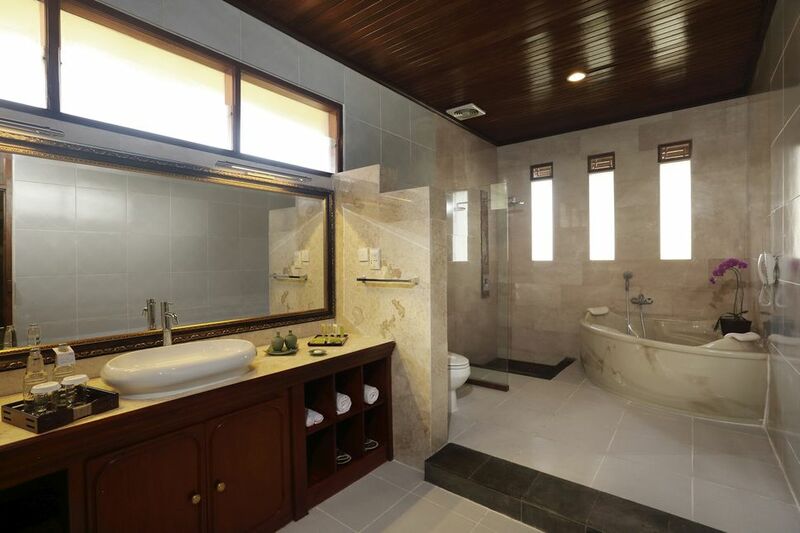 Each bungalow has private bath, separate toilet/shower and a private terrace/balcony. 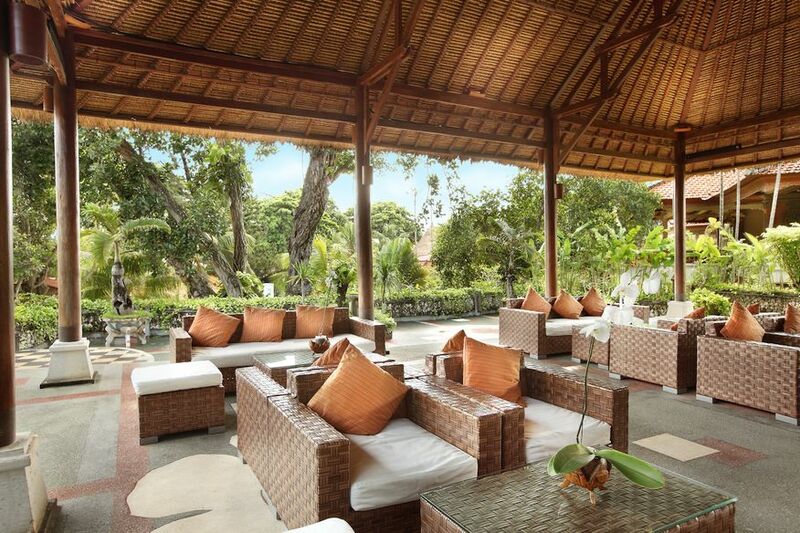 Designed in a blend of balinese touch and contemporary style. 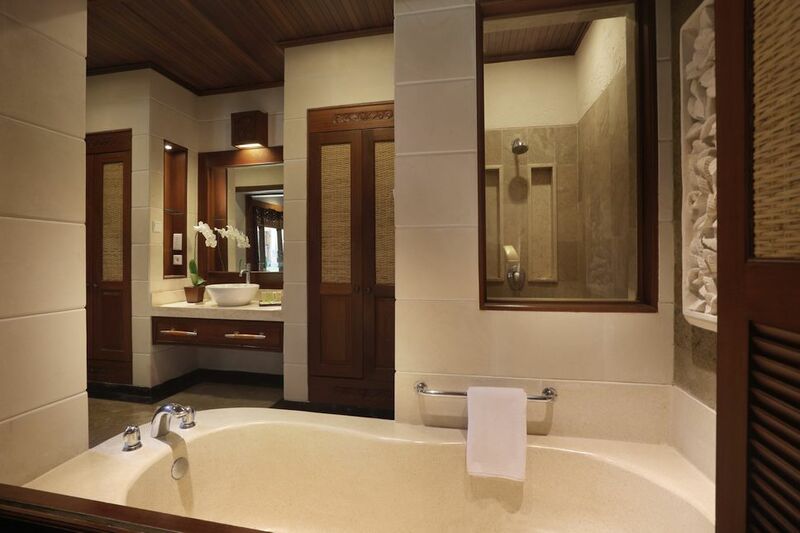 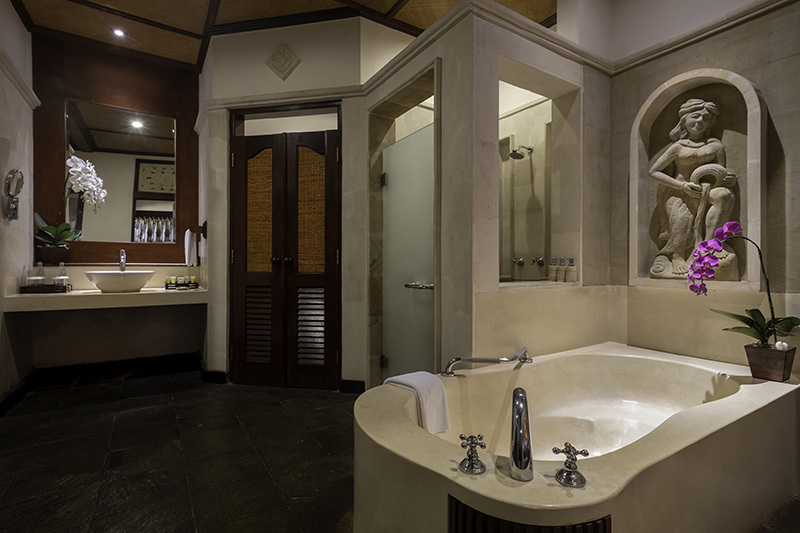 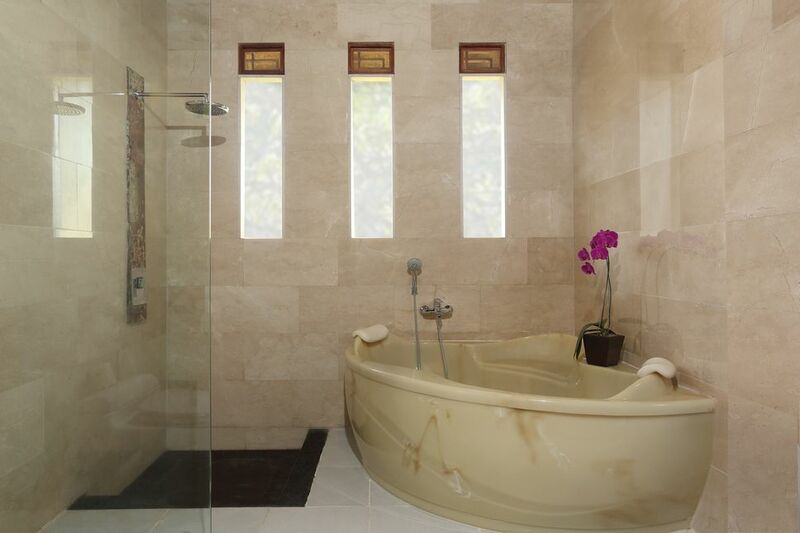 The exotic bathroom has separate walk in shower and oversized bathtub made of natural stone with a wooden sliding door which could leave open, devide the bedroom and bathroom area. 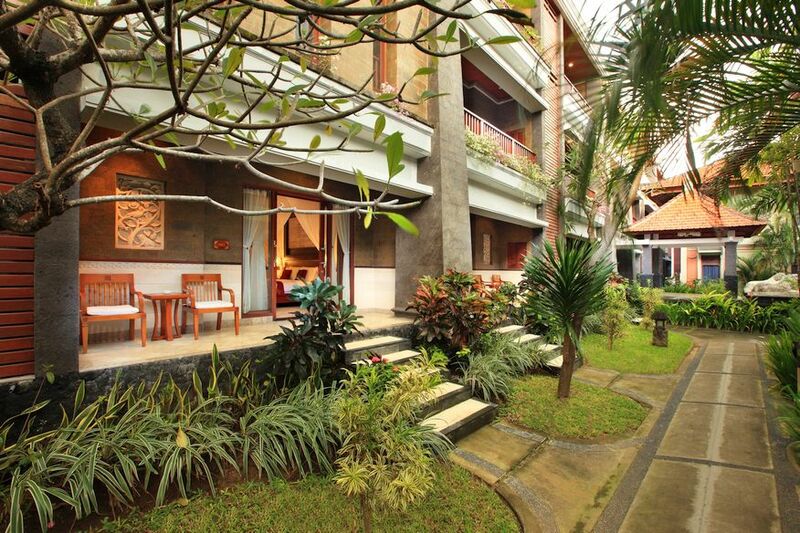 All rooms has private terrace /balcony with splendid view of the pond and lush garden. 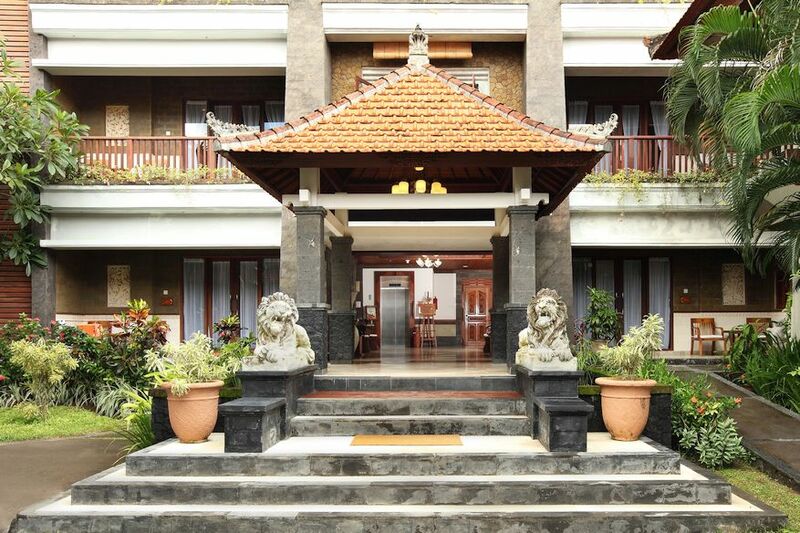 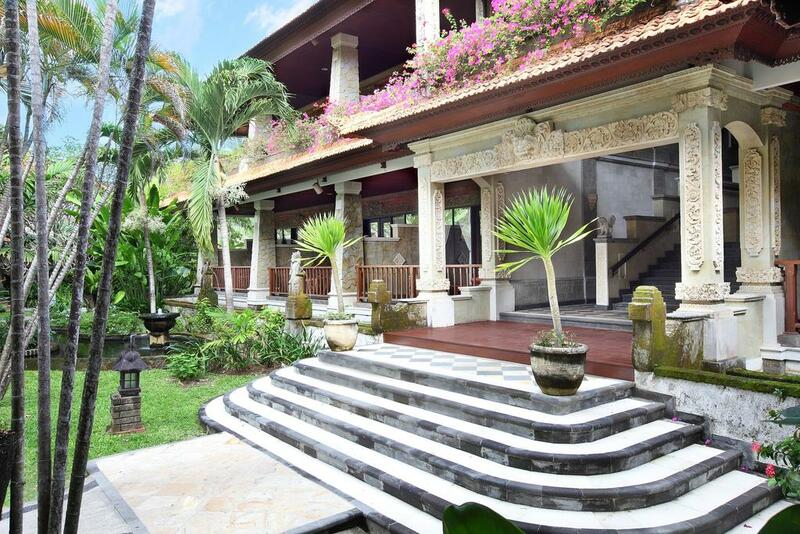 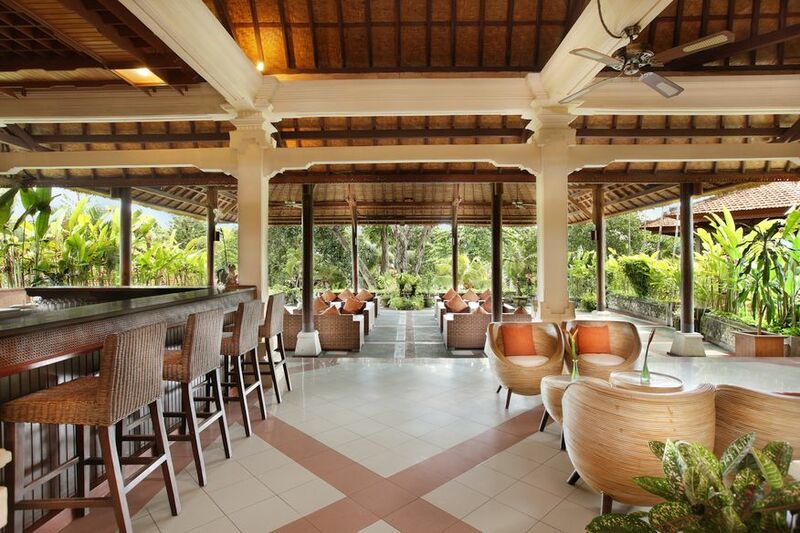 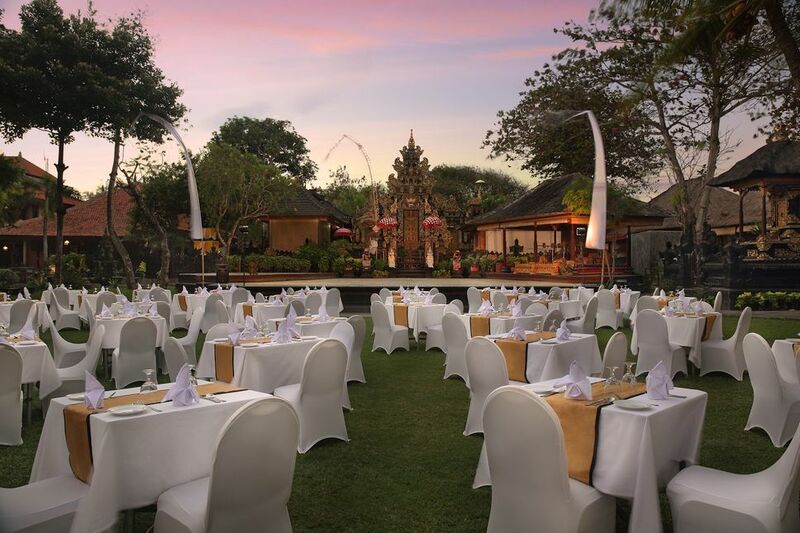 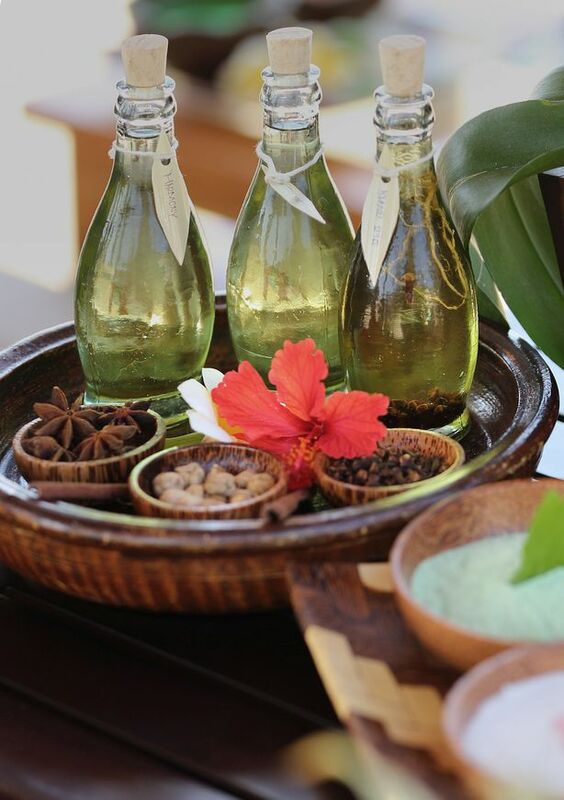 Designed in Balinese traditional architecture and lush tropical garden. 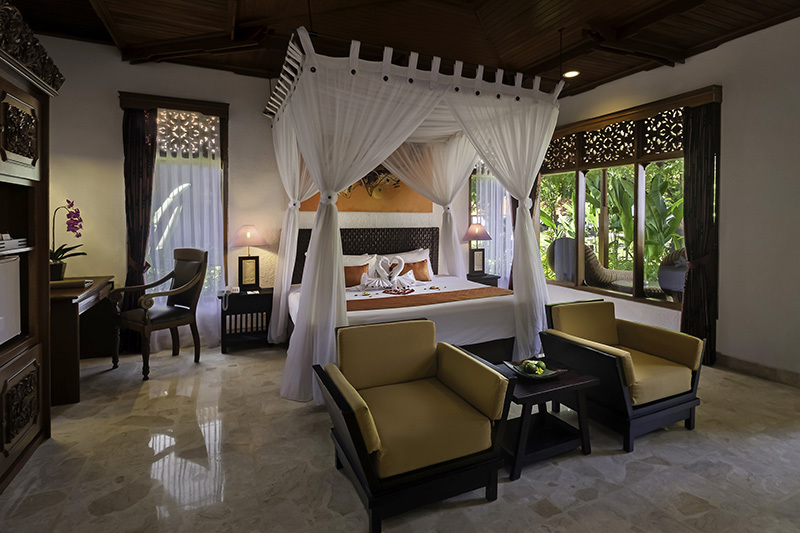 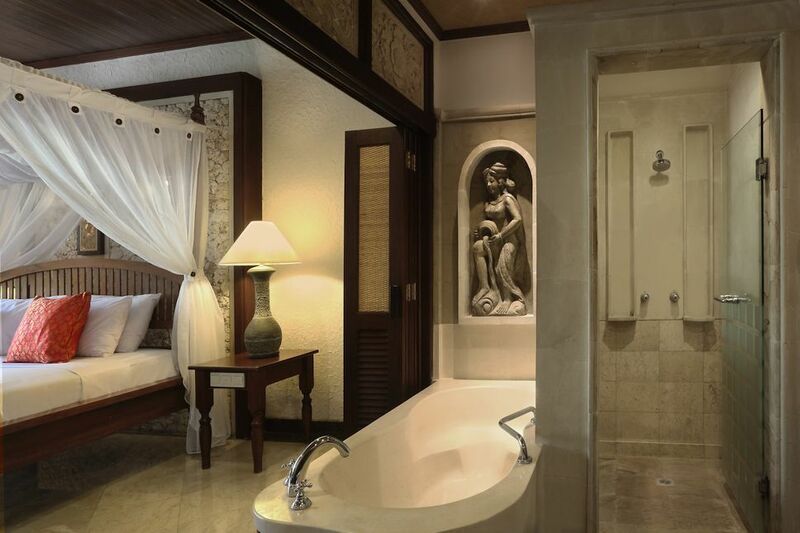 Each Tropical room has a private bath/shower and a private terrace with splendid view of the pool. 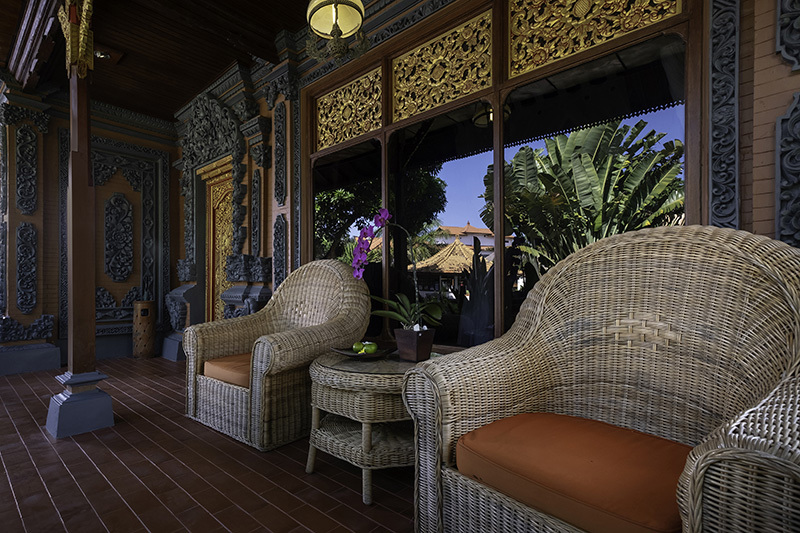 Designed in Balinese traditional architecture and lush tropical garden. 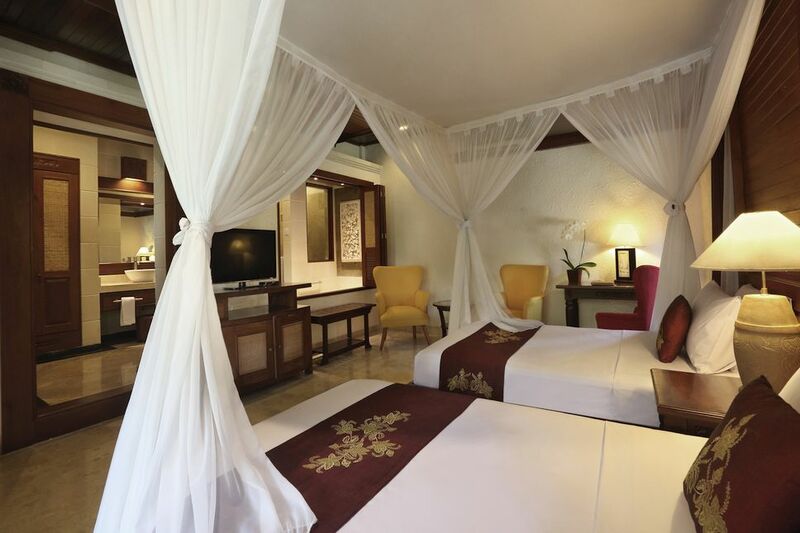 Each Suite room has a living room, private bath/shower and a private terrace with splendid view of the pool and or the ocean. 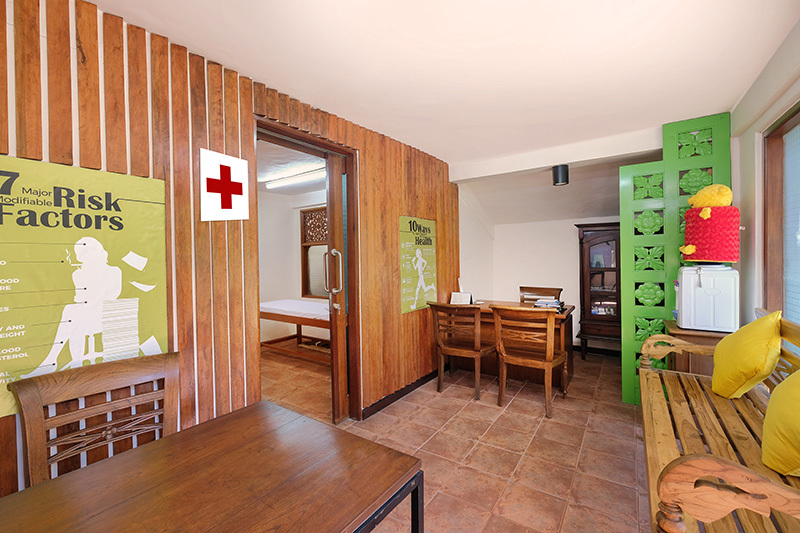 Featuring individually controlled air conditioning, satellite plasma television, international direct dialing telephone, personal electronic safe, refrigerator/mini bar, tea/coffee making facilities, hair dryer, yukata and slippers. 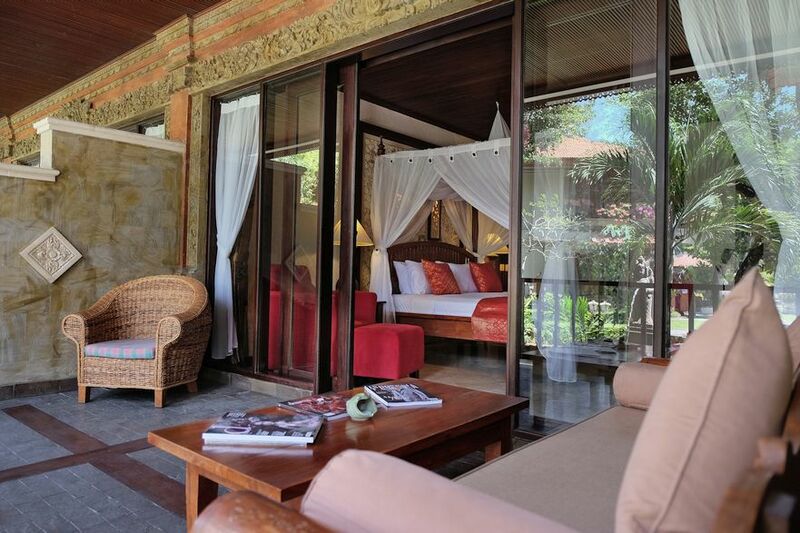 Low-rise bungalow designed in Balinese traditional architecture featuring ornate wooden carvings and stunning tropical gardens.Each bungalow has private bath, separate toilet/shower and a private terrace/balcony. 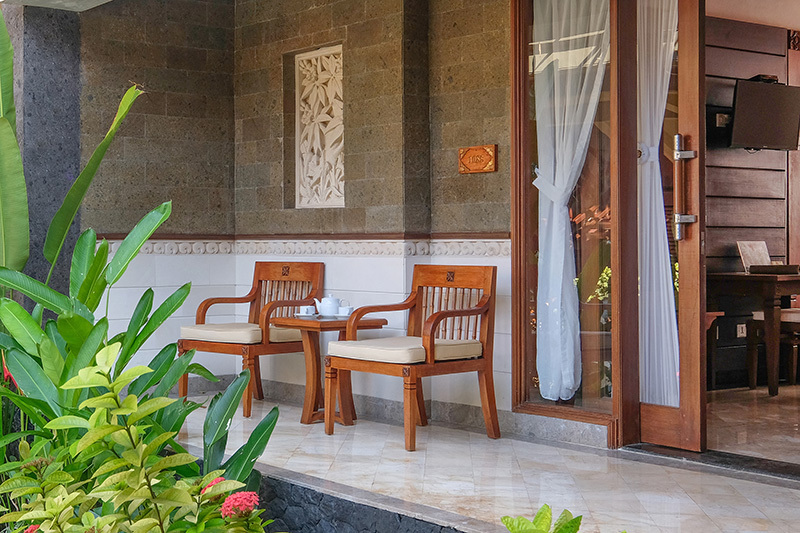 Featuring individually controlled air-conditioning, satellite television, international direct dialing telephone, refrigerator/mini bar, tea/coffee making facilities, hair dryer, yukata and slipper.